Research the law of your state concerning the termination of an irrevocable trust. Many states have enacted most of the terms of the Uniform Trust Code. Under the Uniform Trust Code, an irrevocable trust, including a testamentary trust, may be modified if all beneficiaries consent and "continuance of the trust is not necessary to achieve any material purpose of the trust." Examine the trust deed to determine if its wording reveals any obvious purposes for the trust. Courts are reluctant to terminate a trust if doing so violates the clear intentions of the grantor, even if he is dead. A Massachusetts court, for example, refused the request of a sole beneficiary to terminate an irrevocable trust because he sought release of the funds prior to the date that the grantor had specified in the trust deed. Obtain the consent of all trust beneficiaries to the termination of the trust. This might be impossible in some states if any of the beneficiaries are under 18, or if the trust has unborn beneficiaries: "Mary's children," for example, if Mary is childless. Courts in states that have enacted the Uniform Trust Code are empowered to terminate a testamentary trust without the consent of all beneficiaries if the court is satisfied that the interests of the unrepresented beneficiaries are adequately protected. Demand a written accounting of the disposition of trust assets from the trustee. The accounting must include an inventory of remaining trust assets and a list of expenses for administering the trust. A court may terminate a trust if it is uneconomical -- in other words, if the expenses of maintaining the trust are high compared to its remaining assets. Even if the trustee opposes the termination of the trust, he is legally obligated to distribute periodic accounting statements to beneficiaries. 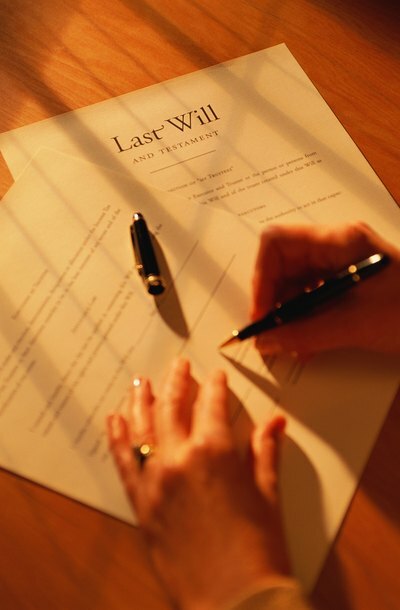 Prepare and file necessary paperwork with the probate court with jurisdiction over the deceased grantor's estate. Although this paperwork varies from state to state, it is likely that you will have to prepare a petition for termination of the trust, a consent to termination of the trust signed by all beneficiaries or their representatives, an accounting statement prepared by the trustee, and a proposed termination order for the judge to sign. The termination petition must state the legal grounds for termination of trust -- that the trust was established to provide university educations for the grantor's children and they have already received university degrees, for example. The court will set a date and time for the hearing and notify you. If it requires the presence of all beneficiaries, it will notify them as well. Collect evidence that supports your grounds for terminating the trust -- the university diplomas of all beneficiaries, for example. Attend the hearing scheduled by the court. Bring the trust deed along with the evidence supporting your grounds for terminating the trust. You may be required to testify. If your petition is approved, the court will issue an order terminating the trust and send you a certified copy. Deliver a certified copy of the court order to the trustee. This will authorize him to liquidate trust assets and distribute them to beneficiaries as specified in the order.